A huge thank you to Ahmad from Knight Image Photography and Wasim from Wasim Jarrah Real Estate Services – and the wonderful Hoda. This event was a huge success thanks to these 3 wonderful people. Customers signed up to have their professional headshots taken by Ahmad and he did a fabulous job – of course. Thanks to everyone involved – we were able to raise awareness and $655 for local youth mental health programs – YAHOO. Facebook, Twitter, LinkedIN, Instragram etc. Now is your chance to get the new professional head-shot courtesy of Knight Image Photography. 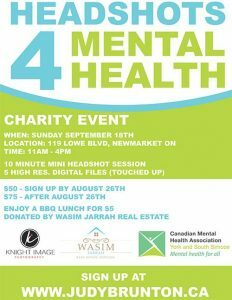 This event is a fundraiser with 100% of the profits going straight to the Canadian Mental Health Association – York and South Simcoe. When you come for your photo session – bring along your appetite and your family and friends. There will also be a BBQ which is fully donated by Wasim Jarrah Real Estate. Purchase a burger or hot dog and a pop or water for $5. 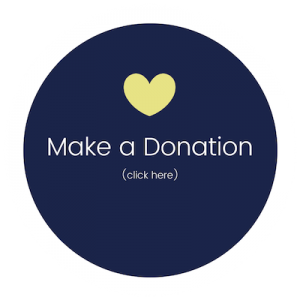 The money raised will be put towards Judy Brunton’s fundraising goal for the Ride Don’t Hide event that will be taking place on June 25th in Newmarket. Her goal is to raise $20,000 for the RDH. All the money she raises helps pay for youth mental health programs throughout the region.